Mesoporous materials are finding increasing utility in sensing applications. These applications can benefit from a surface area that may exceed 1,000 m2 g−1 and fast diffusion of analytes through a porous structure. 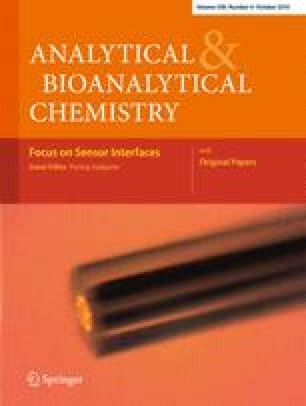 This article reviews recent developments in mesoporous materials-based sensing and provides examples of the impact of different surface functionality, pore structure, and macro-morphology in an attempt to illustrate the contribution of these factors to the selectivity and sensitivity of a sensor response. The materials discussed include ordered mesoporous silicates synthesized with surfactants, hard templated ordered mesoporous carbons, and metal oxides with porous textures which have been applied to advantage in various detection schemes. Chemical functionalization of mesoporous materials through silane grafting, co-condensation, and adsorption are also addressed. This research was sponsored by the US Defense Threat Reduction Agency (DTRA; BA08PRO015) and the US DoD Strategic Environmental Research and Development Program (SERDP; ER-1604). The views expressed here are those of the authors and do not represent those of the US Navy, the US Department of Defense, or the US Government.